Alpine Cyclone 6550 Pond Pumps are designed for continuous operation for ponds, waterfalls and filtration systems. These pond pumps are energy efficient with high performance capabilities. 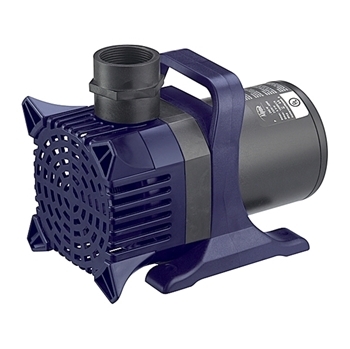 The Cyclone Pump is great for pond use can be oriented either vertically and horizontally. In addition, it can also operate in our out of water. It also comes with a large prefilter and can pump dust particles of size up to 0.24". The bearings are shaft are made with high quality ceramic for continuous and trouble-free use. All units come with a 3-year manufacturer's limited warranty.